September’s Sourdough Surprises is Crumpets, English Muffins and Welsh Cakes. 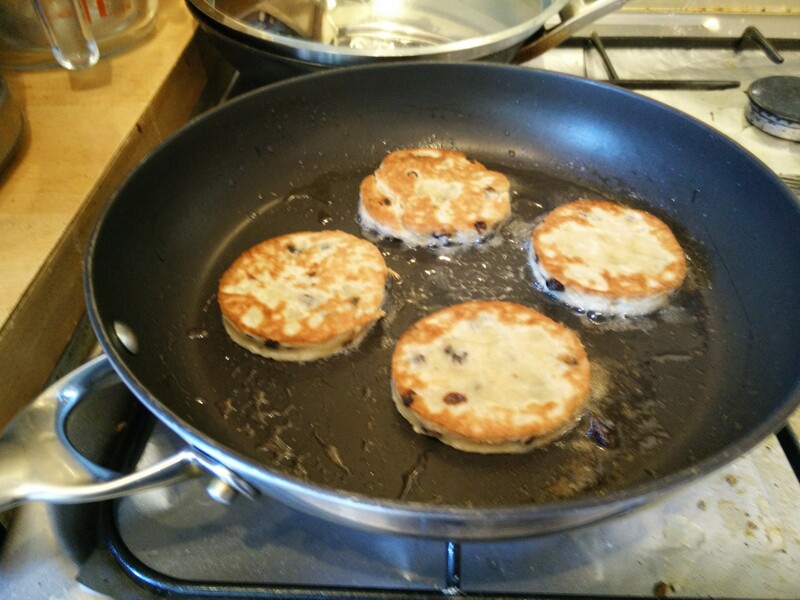 Much as I’d love to MAKE ALL THE THINGS I’m going to be sensible and just stick to doing Welsh Cakes — a favourite snack in our house, although I usually only make them for St David’s Day. Now I’ve got another excuse to make them! 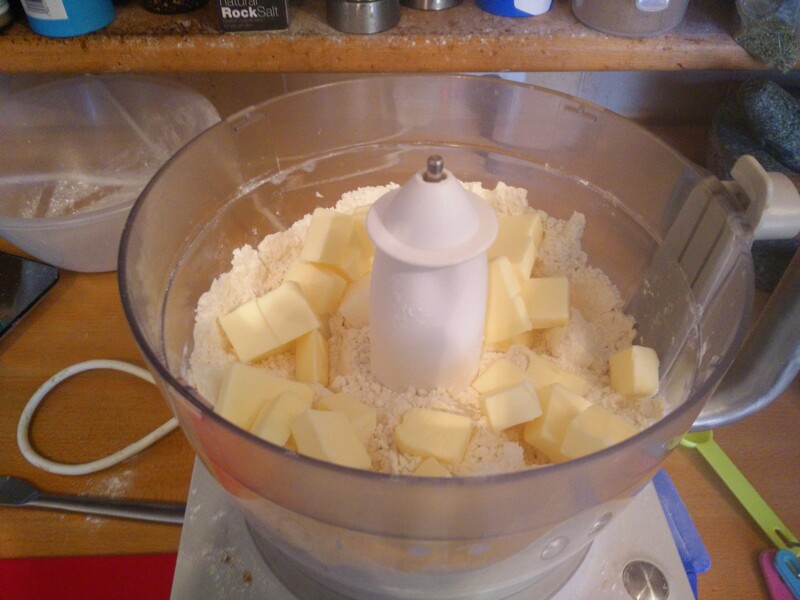 The flour and sugar get mixed together, then the fats are cut into them. Then the currants get mixed in. Finally the egg and sourdough bring the dough together. 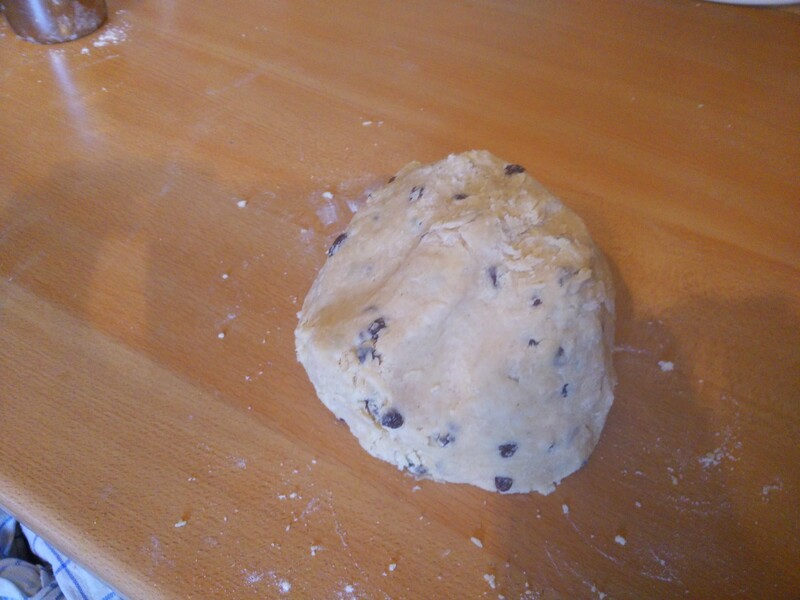 The dough is rollout out pretty thick, and cakes get cut out. 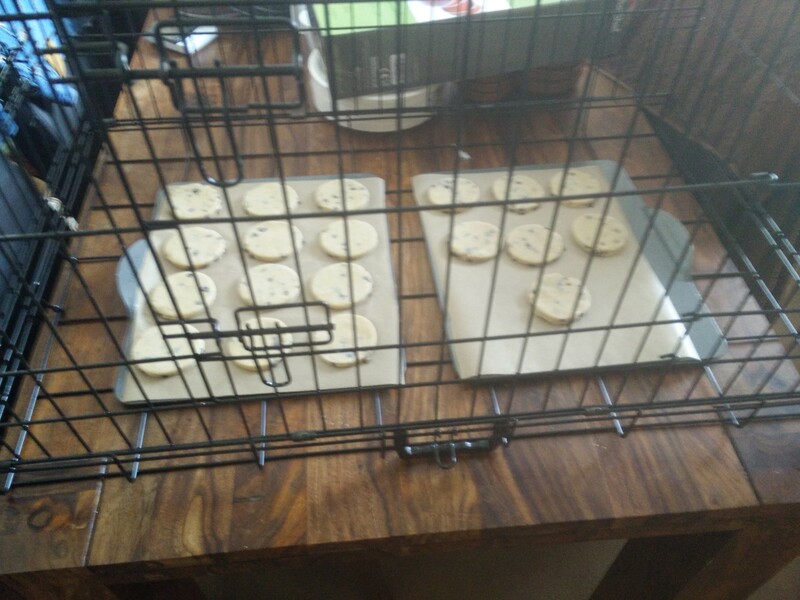 I’m then going to leave these to rise for a few hours (in the cat-proof cage) before frying them. They get fried in a non-stick pan with lard. Then coated with sugar while they’re still hot. 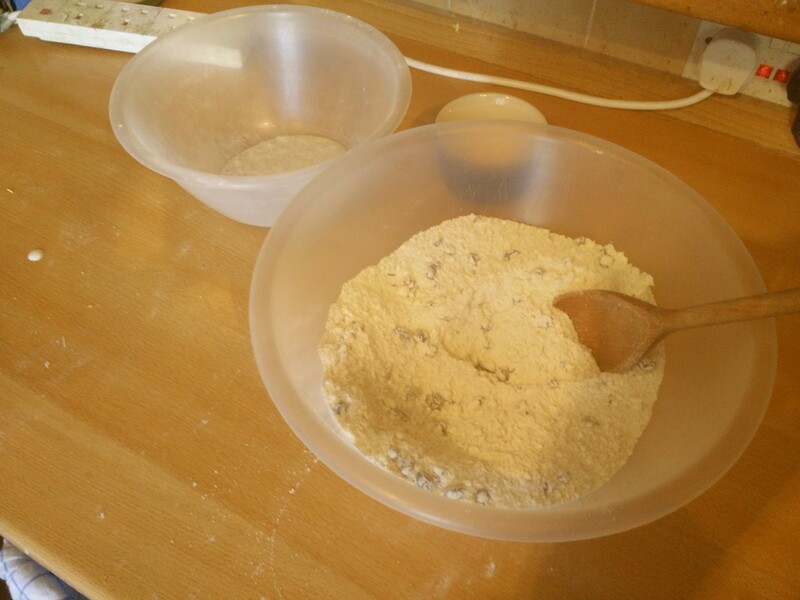 Repeat a few times, and we have ourselves a batch of sourdough Welsh cakes! Do they have a slightly sour background note to them? Maybe. 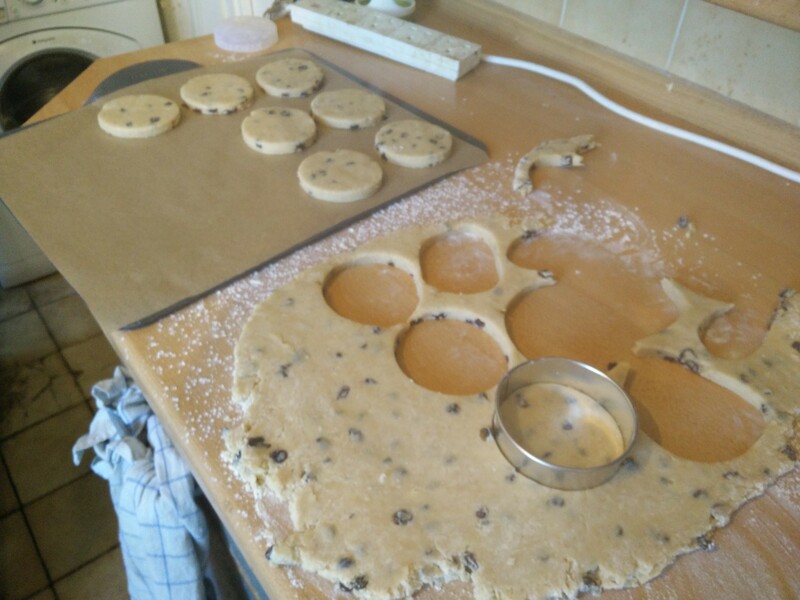 Is the structure slightly different from normal Welsh cakes? Possibly. Hard to tell without having a regular batch to test them against, and as tempting as that is, I’m going to once again restrain myself! 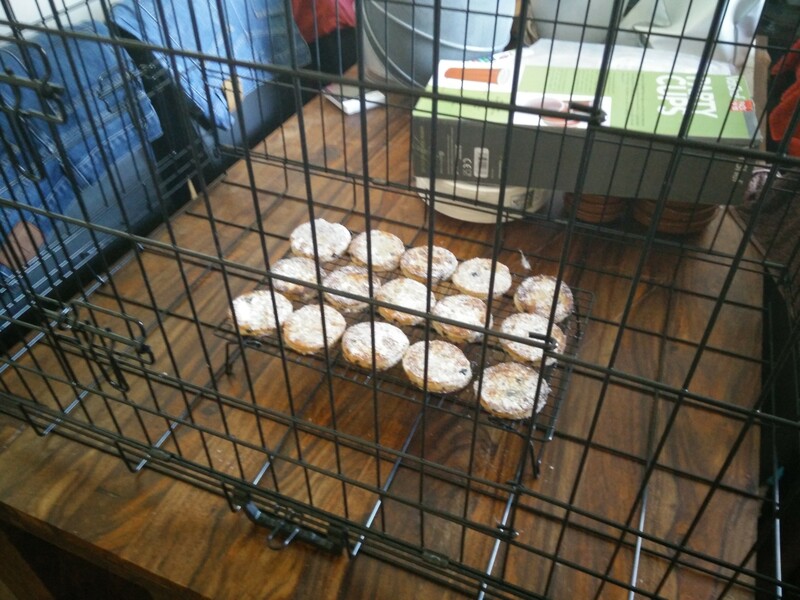 For now we’ll just have to be content with delicious Welsh cakes, possibly with some homemade jam on them later, but for now they’re going back in cat-proof cage. Check out all the other entries to this month’s Sourdough Surprise! 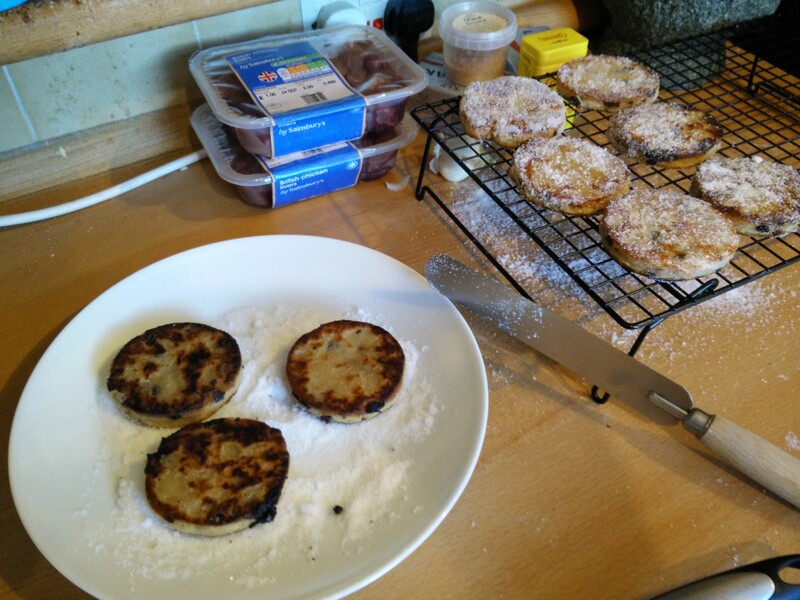 You manage to get the sugar to stick to your Welsh cakes, much better than I ever did. These sugar-coated beauties look irresistible! What flavors were included in the “mixed spice”? “Mixed spice” comes in a jar in the UK – bit like pumpkin spice in the US. Normally it’s cinnamon, coriander, ginger, cloves, & nutmeg. Thanks for the info – now I’m ready to griddle a batch for breakfast. Your cat-proof cage cracks me up! Fortunately my kitty isn’t interested in baked goods. 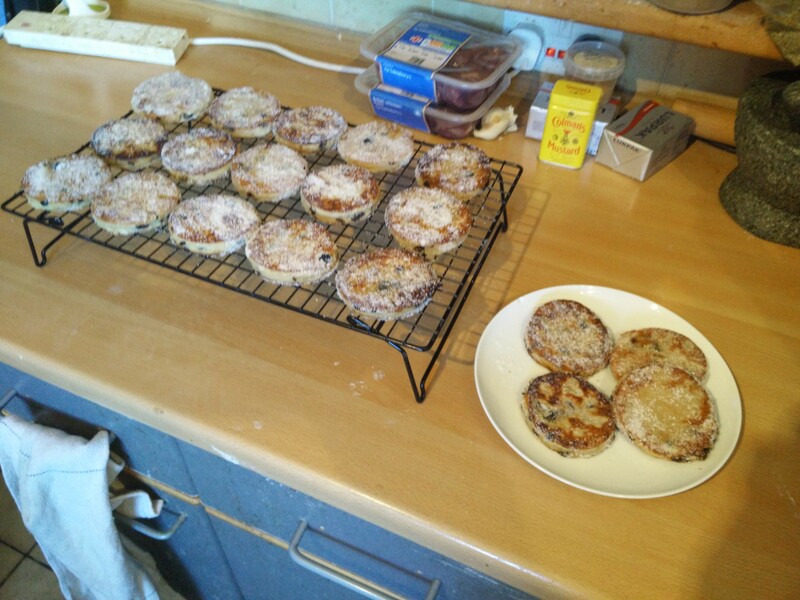 I made Welsh Cakes too, though mine aren’t fried. They’re destined to become a snack favorite around here, too!